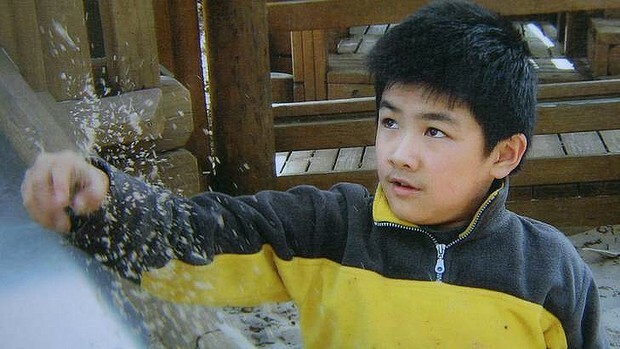 Felix Hua who disappeared in May 2009 during a field trip. A carer who was unqualified to look after a severely autistic boy who drowned during a field trip should not be blamed for the teenager's death, a coroner has ruled. On Thursday Coroner Heather Spooner ruled that Vipula Rajakaruna Mudiyanselage lacked the knowledge to care expertly for Felix Hua because he was not aware of the boy's disabilities and lacked the training and support from his then employer, Southern Cross Care. Mr Rajakaruna Mudiyanselage was caring for Felix in his role as a community support worker when the 14-year-old went missing at Yarra Bend Park in Fairfield on May 30, 2009. Felix's body was found three days later in the Yarra River, near Dights Falls, after an extensive search by police and the SES. An inquest on Felix, held in June, heard apologies to Felix's family read to the Coroners Court by lawyers for Southern Cross Care and the City of Yarra, which outsources its care program to the agency. But Ms Spooner ruled that Southern Cross Care's apology "sought to shift some responsibility for the death of Felix onto the carer". The agency said the teenager should not have been able to wander off while with a carer, and that it maintained "it provided the community support worker concerned with information about Felix and his condition which, had it been actioned properly, would have avoided Felix's death". But Ms Spooner said "I could not conclude that he (Mr Rajakaruna Mudiyanselage) be blamed for this unnecessary and preventable death." The coroner found Southern Cross Care did not have policies to deal with children with disabilities when it took over the council's care contract 2008, as the agency had only previously cared for elderly people. Mr Rajakaruna Mudiyanselage told the inquest that before Southern Cross Care employed him he had told the agency he had never worked with children. He thought it strange when he was later asked to care for Felix, about eight months before his death. He said he was never made aware of the extent of Felix's disability – or his fascination with water, his inability to swim or his tendency to run away from carers – by his employer or the boy's mother, whose English was limited. He said he knew nothing of autism until after Felix's death. Ms Spooner said a Vietnamese translator was never provided for Felix's mother, who had been keen for someone who spoke her language to care for her son. Ms Spooner said the City of Yarra and Southern Cross Care had done considerable work improving its care policies since Felix's death. She recommended that the agency ensure its staff were qualified for their roles, and that it implement and document education sessions between carers and the families of disabled children. "The evidence tended to reveal SCC as an organisation that may not have taken the full opportunity to reflect upon the incident to the point of appreciation of the impact of the failure of governance and the ability to learn from that," the coroner said. Southern Cross Care still provides the council's care program.